Here we go again on Fishing in the Discount Bin, where I watch a movie and blog about it in a futile attempt to bring meaning to my life. Taking a look at a Disney animated film that I love, but doesn't get a lot of love in general. 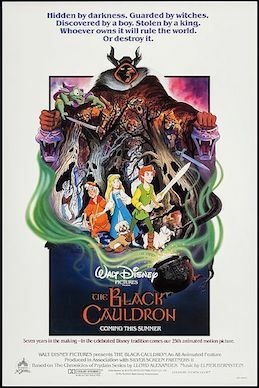 That would be The Black Cauldron. This is in my notes at January 6, 2017. Here we are again on Fishing in the Discount Bin, just some random ramblings about one of the movies I own. 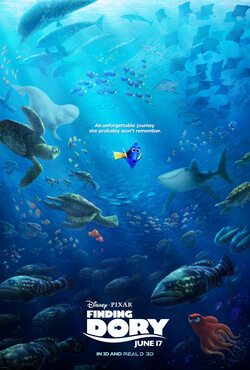 This time out, I'm rambling about Finding Dory. I originally jotted these ramblings in my notes on November 20, 2016. Here we go again on Fishing in the Discount Bin, my weekly ramble about one of the movies I own because I have no social life whatsoever. Today, we go after my biggest letdown of last year, Independence Day: Resurgence. I originally watched it and wrote this on November 13, 2016. Here we go again on Fishing in the Discount Bin, my weekly ramble about one of the movies I own. The #1 blog on the Internet, according to my cousin whom I just saw at the last family reunion and admitted to reading it. So...hi, Shane! 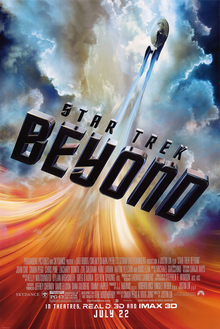 Anyway, today it's the better-than-expected Star Trek Beyond. This is in my notes at November 13, 2016. Sunday night, I got a text from one of my dearest friends. He's now an animator. He says, "Hey, remember that little side project you put together when you were in broadcast school? I think I'd like to animate it. Do you still have the audio?" Well, I couldn't find the audio, but I did find this. I remember scrapping the side project and turning this in for that assignment. This was for production class. The assignment was, as I recall, "Go nuts and do whatever you want. You just need to hit these three criteria to show that you've picked up this particular set of skills." And we were off. Now, we had a guest speaker recently who referred to our production instructor as "the Yoda of production," so we were giving him a hard time about that. This was also around the same time that the original trilogy had finally hit DVD for the first time, and so I was watching it quite a bit. And then it hit me: I would me and some Yoda clips together and set it up like I was asking my instructor for help with the project. We didn't have the tech to rip audio from DVDs, so I grabbed the audio the old-fashioned way. I checked out a portable audio recorder from our equipment stores, took it home for the weekend, ran the audio outputs from my DVD player into the portable audio recorder and grabbed the clips that way. I grabbed the Yoda clips I wanted to use. I also grabbed the ambient sound from several establishing shots. I figured it would be easier to use that to fill in the gaps, rather than try to build my own Dagobah soundscape. For the first half -- where I try to record something and it comes out all messed up -- I just took my voice over and threw about a dozen different effects on it to get it as messed up as possible. The creepy "seven days" was voiced by one of my classmates who I grabbed in the hallway. Piece it all together in CoolEdit (the forerunner to Adobe Audition) and voila! Assignment done! The class got a charge out of it. The instructor loved it. At the end of class, he pulls me aside and says, "Do you mind if I play that for future classes? Because you do illustrate some common problems, and I think it would be useful." I said, "Sure, why not?" I reached out to that instructor about two or three years ago for a little help, and he said, "Oh, by the way, I still play that Yoda thing for the class." So if you came up through NAIT's RTA program in the last 10-12 years and you heard that...yeah, that was me. Here we go again on Fishing in the Discount Bin, my weekly ramble about I movie I own. 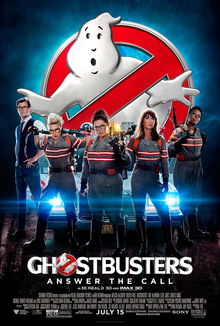 Today, we get to the surprisingly controversial Ghostbusters reboot. This is in my notes at October 30, 2016.